Minerva AFC registered their first win of the tournament as they defeat table toppers, DSK Shivajians, who incidently suffered their first defeat. Minerva FC started the match on the front foot, as Manandeep Singh’s ambitious shot hit the bar and fell at the feet of Victor, who couldn’t get power behind his follow up and as a result, keeper Sayak Barai caught hold of the ball. Mohd. Sajid was the first player to go into the referee’s book when, in the fourth minute, he went in from behind on a Minerva FC attacker. Five minutes from the incident, Juan Quero spearheaded DSK Shivajians’ attack he sent in an accurate cross towards Kim Song Yong, but his resultant header was inches away from the target. In the 16th minute, DSK Shivajians won a free-kick in the centre of the park after a foul on Vanlalremkima. Juan Quero lifted the ball into the Minerva box, which caused some confusion amongst the defenders, but they managed to clear the ball after a couple of deflections. On the other end, Jermanjit Singh tested Sayak with a strong effort from a long way out, but the keeper responded by grabbing the ball firmly. Five minutes on, Sayak was called into action again by Marcus Lopez, but the former made a magnificent save from point blank range to deny Minerva a lead. As the half wore on, DSK Shivajians started keeping hold of the ball more. In the 35th minute, Arif broke free from the midfield and tried to find Kim Song Yong with an inside pass, but Jermanjit was on his toes and clipped the ball away from the North Korean striker. Three minutes from half-time, Sayak Barai punched away a powerful shot from Victor as the ball fell to Lopez, who’s follow-up shot hit the bar on its way out of play. Right before the end of the half, DSK Shivajians had a fantastic opportunity to take the lead. Quero’s free kick into the box from the left flank found Kim Song Yong, but latter’s header went wide. 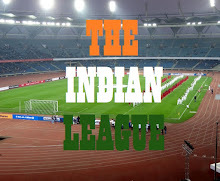 The first half ended goalless as the teams made their way to the dressing room. In the third minute of the second half, Arif got on to the ball and played it through to Kim, who ran past the defence before a heavy touch took the ball away from him. A revitalised Maan Singh, who put in a tireless shift on the right flank throughout the match, strung crosses aplenty in the Minerva box, but the strikers, Kim and Arif, were unable to make the most of it. In the 55th minute, Kim Song Yong played a delightful one-two with Juan Quero on the edge of the box. However, the North Korean’s touch let him down again as the ball went out for a goal-kick. DSK Shivajians were rewarded for their constant efforts in the 60th minute when a penalty was awarded to the Pune-based team after Kim was brought down in the box. Juan Quero stepped up to slot the ball home with a calm shot, but referee asked for a re-take. The Spanish maestro again scored past the keeper, by steadily slotting the ball towards the still keeper’s right as he gave DSK Shivajians the much-needed lead in the process. Juan Quero picked up the pace and ran through the midfield in the 70th minute, however, his shot from the edge was blocked by Jermanjit and Vanlalremkima’s soft follow-up was held by Shamsher in Minerva goal. Minerva FC equalised in the 79th minute when Lago Bei was quick to react to a cross inside the box, as he slotted the ball into the back of the net, past Sayak, with a powerful header. Following Minerva’s goal, both the teams were locked in a midfield battle for about five minutes before Quero broke free from his half and played Hitova Ayemi on, who had just one defender to beat, but the defender read the situation well and closed down space on the young attacker. Moments away from full time, in the 90th minute, Manandeep Singh scored to deny DSK Shivajians’ any points after confusion in the box forced Sayak to leave his line, only for the ball to find the Minerva striker, who scored in an empty net to ensure victory for the Chandigarh-based club. 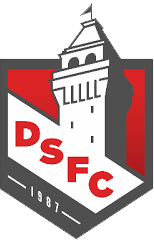 DSK Shivajians’ efforts to salvage a point late on did not heed any results as Minerva FC won their first match in the Durand Cup 2016. DSK Shivajians will be in action tomorrow against Army Green and will look to secure a semi-final spot with a win. 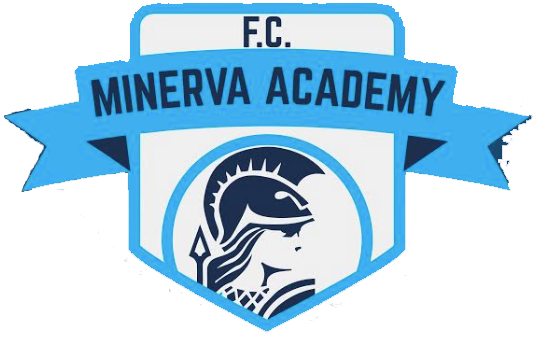 Minerva on the other hand will face Sporting Clube de Goa on 6th September.